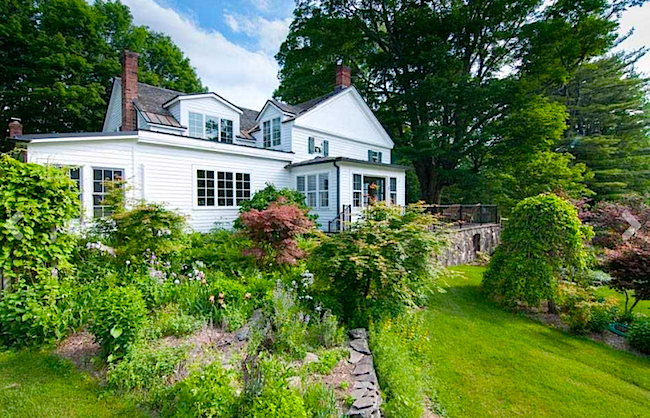 This beloved home is sited on over 10 magical acres on Woodstock’s finest country road. 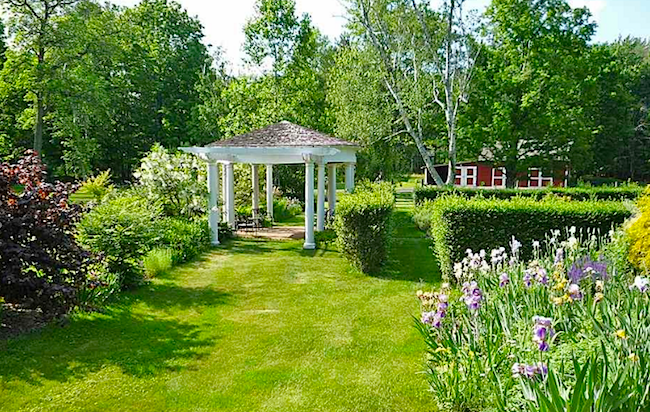 This estate-like property has everything you can dream of in a perfect country retreat: acres of fields, pastoral mountain views, in-ground pool and pool house, antique barn, stone walls, perennial gardens with many ancient trees and mature plantings, and the only Jonathan apple tree left standing. 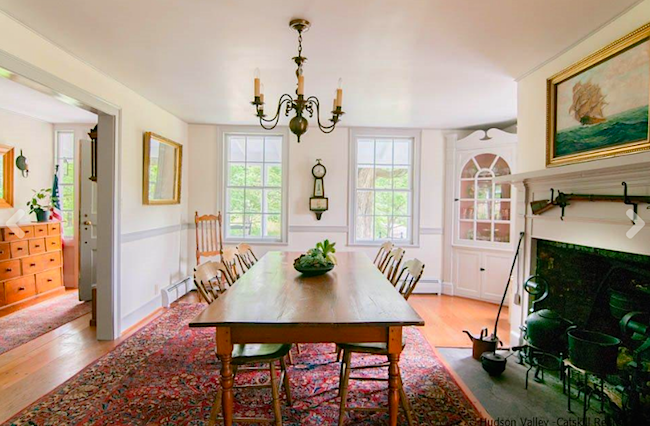 The massive maple tree and rocking chair front porch greet you as you enter the immaculately maintained and upgraded 1800s center hall Colonial. 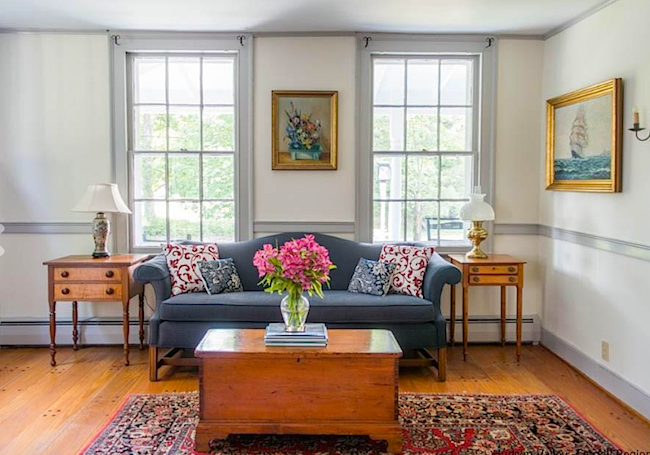 Abundant original details are paired with modern amenities and systems throughout. 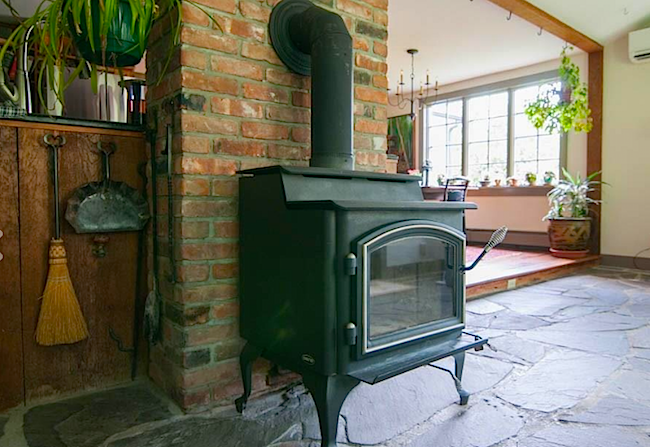 The spacious living and dining rooms each have cozy fireplaces, built-ins and original blown glass windows. The open plan kitchen and sun filled family room are the heart of the home, with Viking stove, double wall ovens, Bosch dishwasher and granite counters. 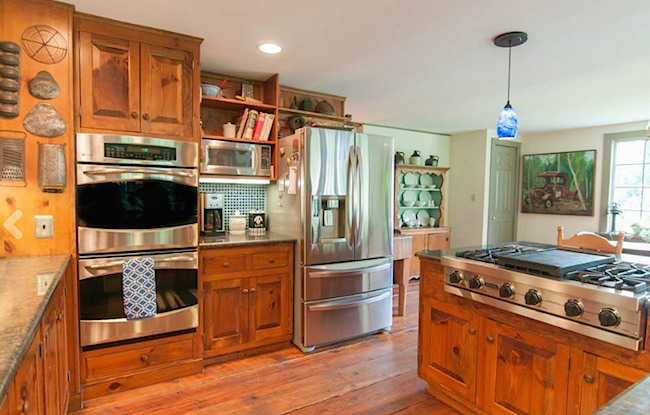 The kitchen cabinets were hand crafted by a local woodworker from wood grown on the property. There’s a separate office and even a working greenhouse with heat, water, fans and operable windows. 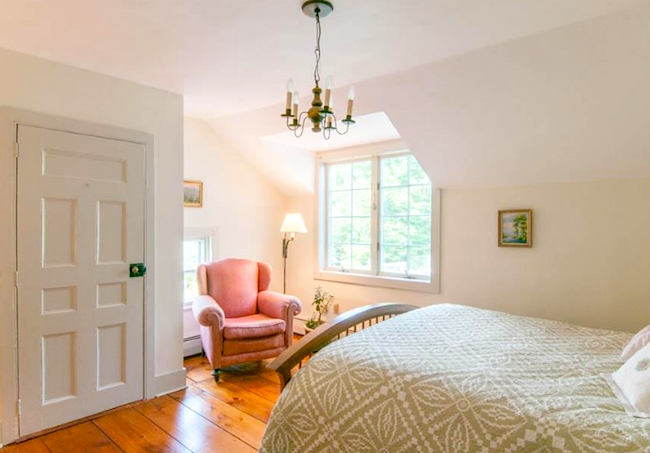 The master suite charms with its own deck, garden views, walk in closet and a custom modern bath. The three additional bedrooms each have their own character, and share a spacious bath with hand painted Mexican tile and whirlpool tub. 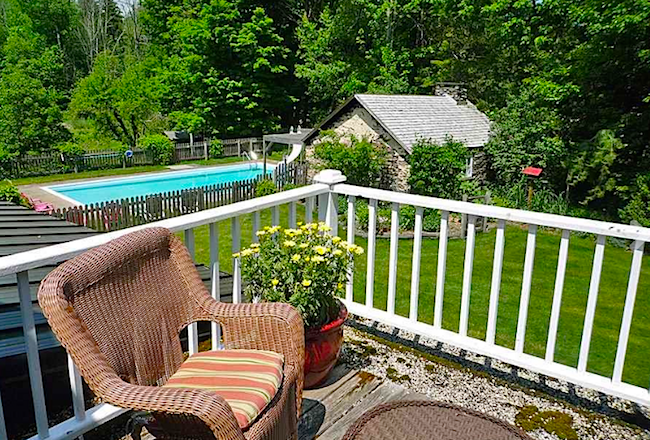 A sunroom leads out to the bluestone terrace, overlooking the classic, easy care perennial gardens and pool. 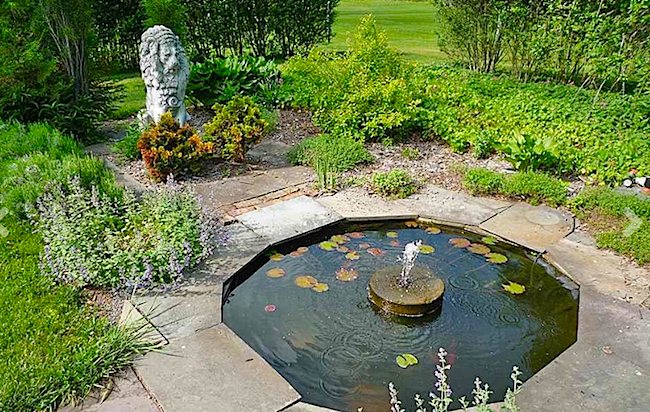 Stone pathways wind through the herb garden, mini koi pond and pergola. The gardens are protected with electric deer fencing. The 20 x 40 concrete pool has an original 1700s stone smoke house used as a changing room and bar area, complete with sink. The barn can fit 5 cars, or farm animals and equipment, and has loft storage space. 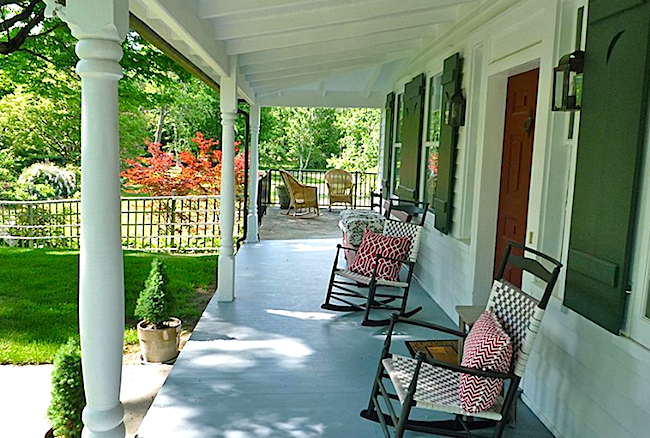 You will love the seclusion of living in one of the oldest original farmhouses on Cooper Lake Road, and yet the preeminent location offers an easy drive to all the culture, restaurants and shopping Woodstock has to offer, a lovely walk or bike ride to Cooper Lake, and a short drive to area hiking and ski slopes. Additional land and neighboring home may also be available for sale. Check out the full listing HERE. 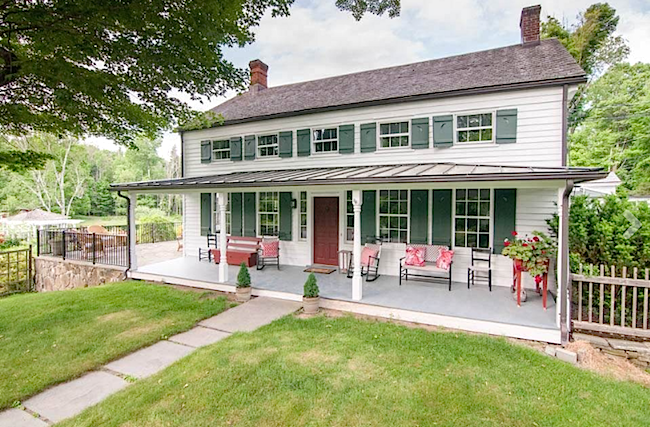 Give us a call, we'd love to show you this very special one-of-a-kind home in the heart of the Hudson Valley!